An all-ticket crowd of 28,000 crammed into Tannadice to see the return match. 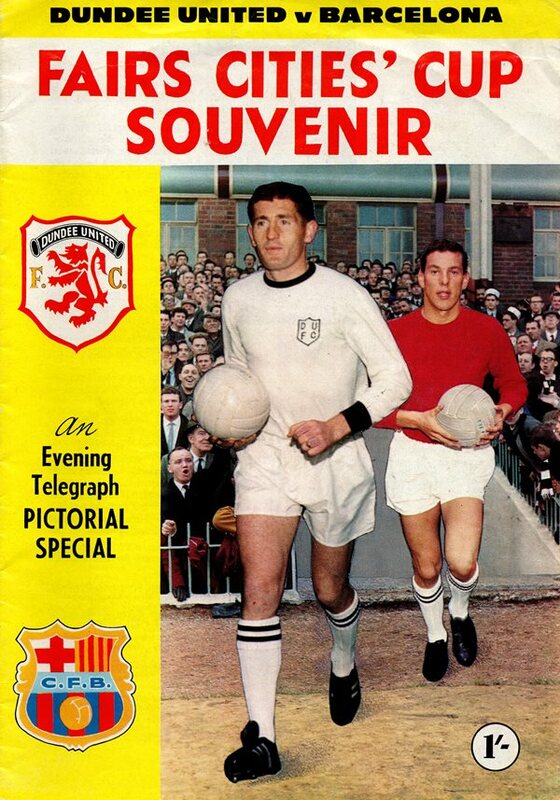 United skipper Jimmy Briggs passed a late fitness test and came back into the side, meaning United were starting with the same eleven players who won the 1st leg in Spain, whereas Barcelona had made four changes to the side who lost in the Nou Camp. 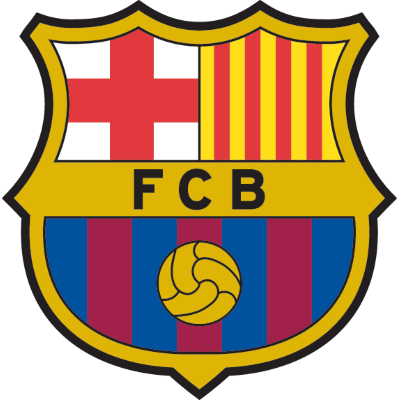 Barcelona attacked from the kick off, with Muller and Monbecinos missing chances, before Davie saved at the feet of Fuste as Barcelona started to look dangerous. The game continued in the same fashion as the 1st leg, with Barcelona having most of the play, and United looking dangerous on the break. Then in 17 minutes, just as everyone was expecting Barcelona to drawn themselves level, United shocked the Spaniards once again. A Gallego clearance only went as far as Persson, who carried the ball forward before slipping it to 20 year-old inside left Ian Mitchell, who's left footed shot flew past the despairing Sadurni as he came out of goal. United now led 3-1 on aggregate, which meant Barcelona now needed to score three goals to get past the Terrors. 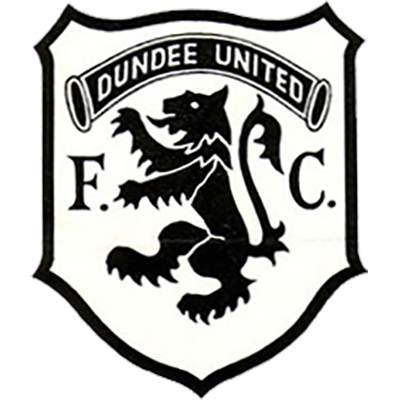 However they nearly pulled one back a minute later, but Sandy Davie came to United's rescue and pushed a Benidez shot over the bar, and the game flew from end to end as both Persson and Miller both went close with long range shots. United were then refused what looked like a stonewall penalty when Miller was brought down inside the box by Torres, and 2 minutes before half time the Barcelona keeper spilled a Hainey shot, and Dennis Gillespie tapped the ball into the net, only for the linesman to have his flag raised for an offside decision against Persson. Just 4 minutes into the second half, Billy Hainey, the man who had opened the scoring in Spain, picked up the ball on the right wing and fired in a shot from 30 yards, which swirled over the despairing fingers of Sadurni to land in the top right corner of his net. From that moment on it was all United, with Hainey, Seemann and Mitchell all going close, before United had the ball in the net for a fourth time on the night, with Seemann heading the ball home from a Mitchell cross, only for another offside decision from the Belgian referee. When the final whistle blew there were ecstatic scenes at Tannadice - few could have believed that United could not only defeat the millionaires from Spain, but to do so with such an emphatic 4-1 aggregate margin was unthinkable and sent shock waves all around Europe.